LIKE NEW !! 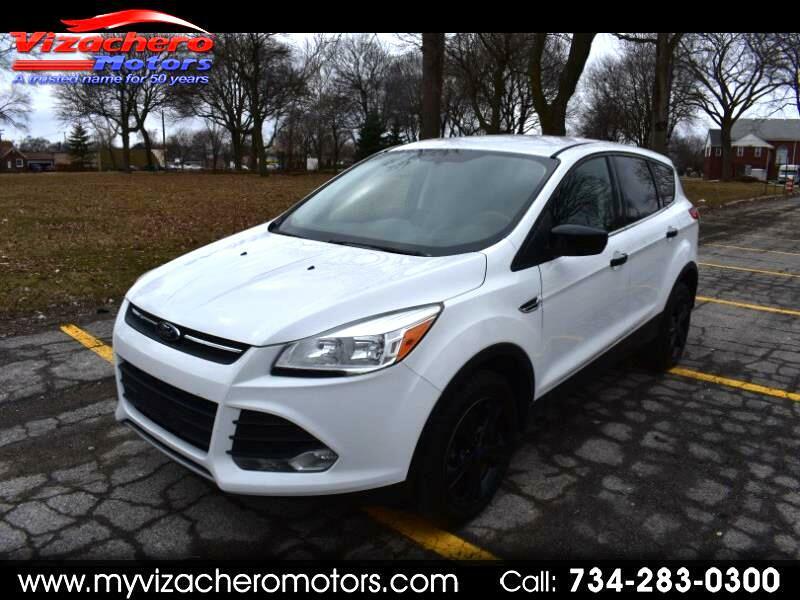 - ABSOLUTELY BEAUTIFUL ESCAPE - WHITE IN COLOR WITH FACTORY BLACK SPORT RIMS !! - FLAWLESS CHARCOAL CLOTH INTERIOR - POWER WINDOWS - POWER DOOR LOCKS - POWER MIRRORS - AM FM CD SYNC SIRIUS RADIO - ECO BOOST ENGINE - STEERING CONTROLS - KEYLESS ENTRY 4X4 - AND MORE !!! - A MUST SEE AND DRIVE - GREAT CAR - GREAT SUV !!! - RUNS AND DRIVES LIKE NEW - LOOKS NEW !! - - WE ALSO OFFER GUARANTEED CREDIT APPROVAL FOR ALL - PLEASE BUY WITH CONFIDENCE..OVER 58 YEARS OF AUTOMOTIVE SALES AND SERVICE ...OVER 6000 VEHICLE SOLD !! - HOPE TO SEE YOU SOON !!!! - VEHICLE JUST IN - PHOTOS COMING SOON !! !